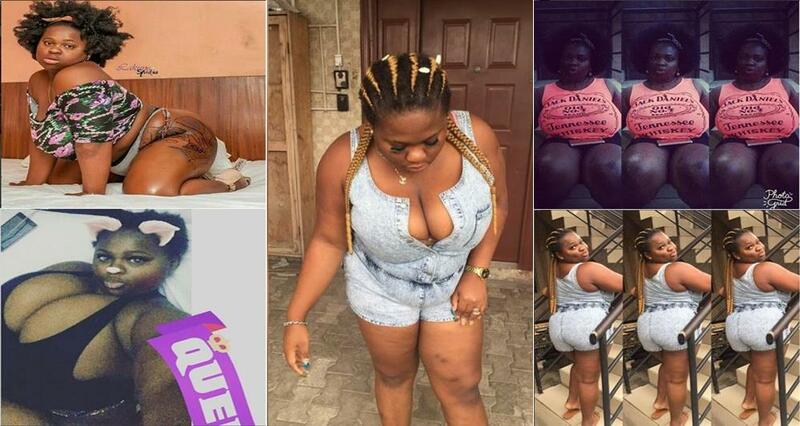 Nigerian Slay queen named @the_queen__biola on instagram has just accused guys of being the cause of the high rate of Prostitutes on the streets. – The guy dat calls u 3 times a day before reduces to one after $ex nd at d end stop​s calling nd giving excuses til he fades out GUYS! Put urself in the girls shoes she feels USED Nd stupid!.. Nigerian guys can talk to u for a whole year jst to F.uck u Nd ONCE dey do dey r off! -If u have sisters put urself in the girls shoes nd see how she feels!!! , Are u telling me a girl can’t just meet a guy she likes Nd is scared to ve $ex because she knows d guy might be after $ex afterall ,are u telling me a girl has to keep trying all dis guys til she finds d one? I had a funny EXPERIENCE met a guy on a dating app dis guy was so particular about no hooking up jst Friendship Nd I was cool with it ..he was like babe I don’t do hook up Nd I sed me to! we kicked off gist every day nd finally we agreed to see ,now dis guy is fresh Nd all Nd I was thinking in my little head Something might be here …so one thing led to d other it happened!! $ex happened! Nd dis guy dat calls every day stopped calling nd all ..naw put urself in my shoes I felt USED Nd stupid Ladies d fault is not YoU! Stop blaming URSELF! Guys jst want to be smart using friendship to have $ex freely Nd dey X like dat …it’s not cool.